NO. 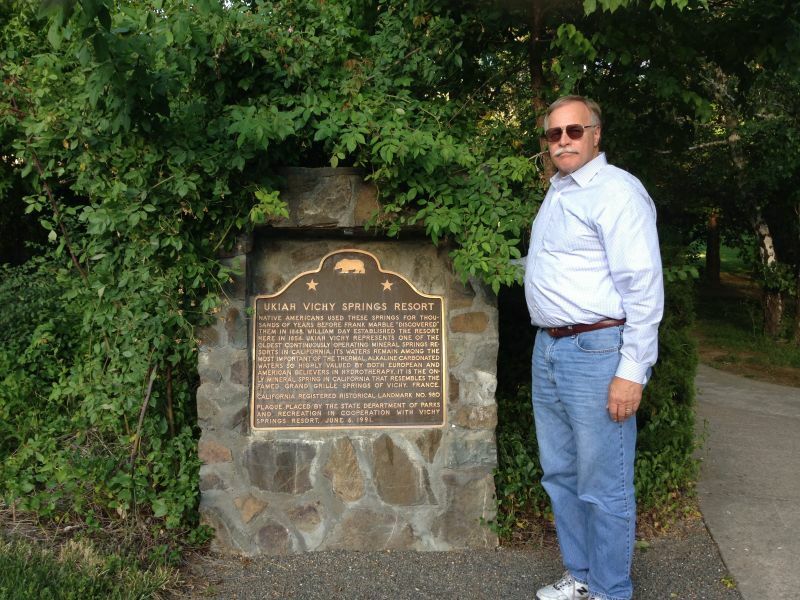 980 UKIAH VICHY SPRINGS RESORT - Frank Marble discovered these springs in 1848, and William Day established a resort here in the 1850s. 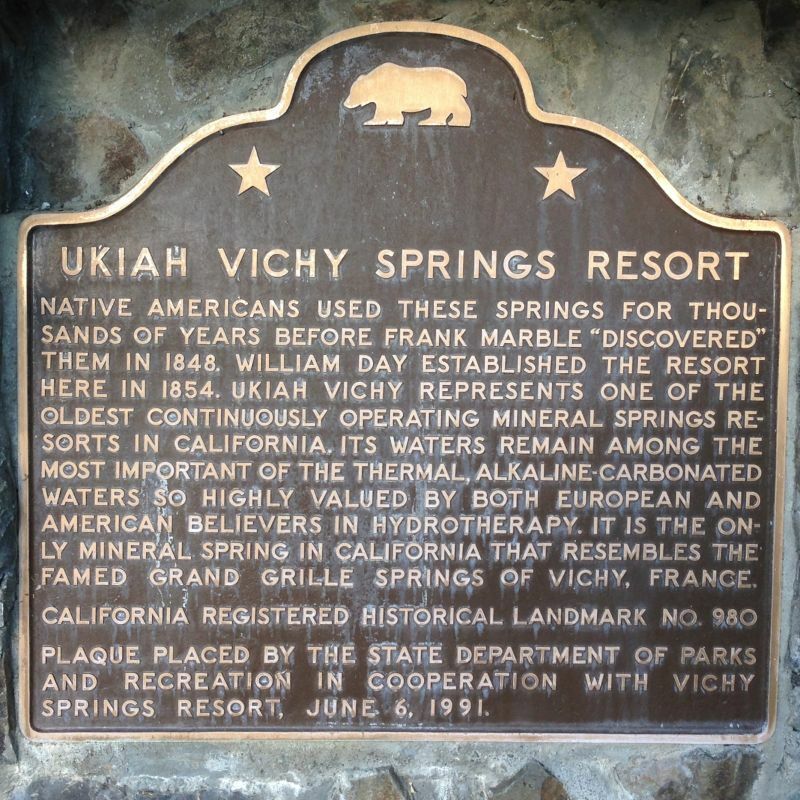 Ukiah Vichy represents one of the oldest and one of the few continuously operating mineral springs in California. 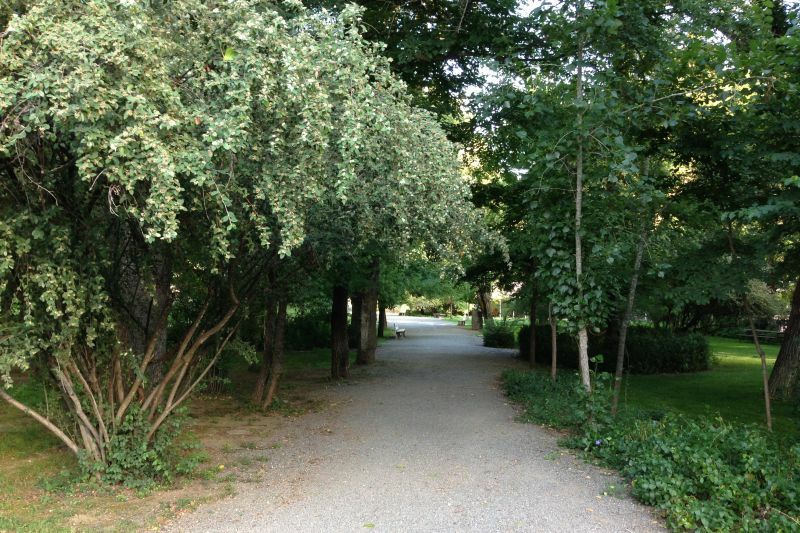 Its waters remain among the most important of the thermal, alkaline-carbonated waters once so highly valued by both European and American believers in hydropathy. 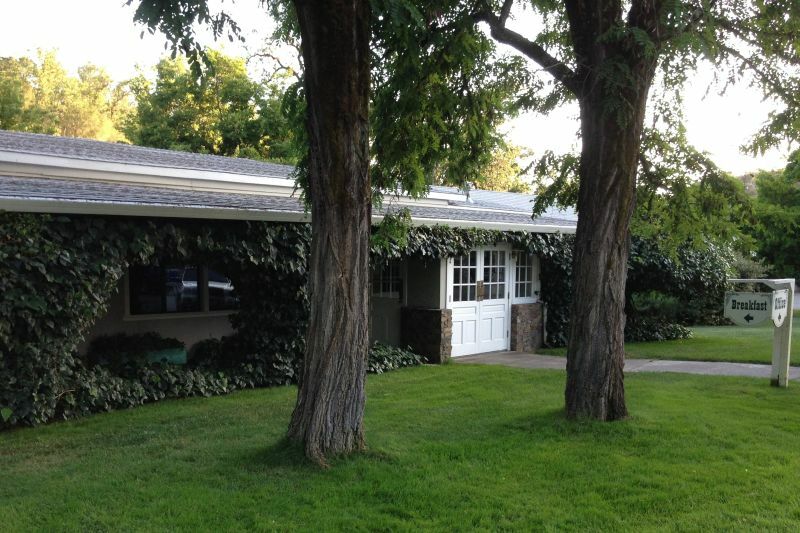 It is the only mineral springs in California that resembles the famed Grand Grille Springs of Vichy, France.